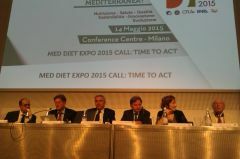 29/04/2015 - EXPO MILAN 2015 CONFERENCE "DOES THE MEDITERRANEAN DIET STILL EXIST?" 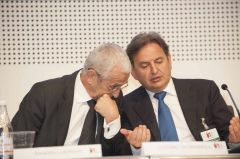 In the morning: 1) The first part is dedicate to the political scene and includes the participation of the Minister of Agriculture, Food and Forestry and the Minister of Health and highest levels representatives of organizing partners (CNR, CRA, ENEA, CIHEAM and Forum on Mediterranean Food Cultures); 2) The event continues with the launch of the MED DIET EXPO 2015 CALL: TIME TO ACT", addressed by the Secretary General of the CIHEAM; In the afternoon: 3) A first conference will be devoted to the presentations of research projects by the main national research organizations, for promoting the Mediterranean diet and testing its value; 4) A second conference will be held on "The Mediterranea Diet in the Context of Sustainable Food Systems", co-chaired by Sandro Dernini and Roberto Capone, in collaboration with the FAO/UNEP Sustainable Food System Program and CIHEAM. 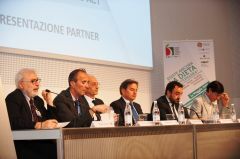 5) Finally, the event will close with a Round Table on "What is the Mediterranean diet today?" 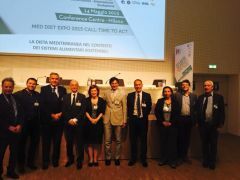 17:30 – 18.30 Closing Round Table WHAT IS THE MEDITERRANEAN DIET TODAY?